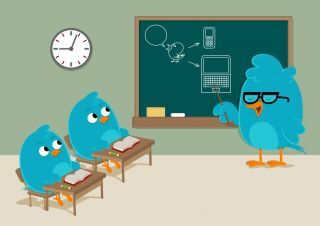 Social media provides educators with a wealth of tools that can be used to engage students and enhance learning. Unfortunately many schools are either too focused on sustaining their testing factories, implementing an array of top-down mandates, or are influenced by the perception and stigma that accompanies social media tools. Since this is an educational technology post I will only focus on the latter. Many districts, schools, and administrators are convinced that social media has absolutely no place in education, even though the whole entire world using it for some reason or another. Even if they might see some value they are still convinced that it cannot be used safely in schools as it is a violation of the Child Internet Protection Act (CIPA), goes against the Family Educational Rights and Privacy Act (FERPA), promote cheating, and are a catalyst for cyberbullying. Thankfully many schools have realized that social media can be used safely and effectively in schools. In my latest book (Digital Leadership: Changing Paradigms For Changing Times) I debunk the many myths that surround social media use in schools while providing numerous examples of educators who consistently integrate it to authentically engage learners of all ages. The are also many resources that can be utilized immediately to usher in changes leading to a transformation of school culture that embraces the value of these free tools. At New Milford High School we have been integrating just about every social media tool under the sun for the past five years and the sky has not come falling down. Case in point. In Mrs. Luzuriaga’s Sociology class, students were working on understanding the roles and functions of groups as well as how to read facial expressions, gestures and body language. Using a popular social networking tool, Instagram, students worked in group of six to eight people to create and develop a series of eight photographs that represented the group’s personalities as well as significant issues and themes occurring in both society and the life of a teenager today. Once each group was completed, the rest of the class had to analyze the images and come to a conclusion as to what message or theme was trying to be conveyed. The experiment proved an interesting experience for all.